Increase your productivity and profitability by choosing business email hosting solutions powered by Microsoft Exchange Business Email 2010 and Hosted by Hurley Internet. Stay connected with premium email and calendar tools. 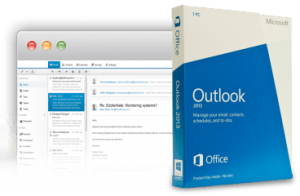 Receive Microsoft Outlook 2013 FREE, the most powerful way to manage your personal and business email and organise your time. 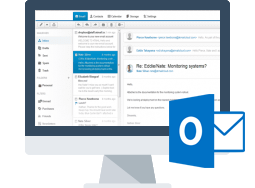 Advanced features include email conversation management, the ability to combine multiple email accounts, synchronisation with your mobile phone, common task automation and the ability to engage with your social networks through Outlook. Each Microsoft Exchange Business Email Mailbox comes packed with excellent features. 30GB storage, more than enough for even the most active power user. Features include email conversation management, the ability to combine multiple email accounts, sync with your mobile phone. Access all of your email from virtually any platform, web browser, or device to get more done, wherever you are. iPhone and Windows Mobile are all fully supported. fully accessible and synchronised from the same email Exchange server. Hosted Exchange removes the cost, administration and resource commitments associated with setting up and managing your own Email server. Leave it up to us! Hosted in our state of the art data centre, which is manned 24/7/365, your business email hosting is backed up every night and is totally safe and secure. Co-ordinate and streamline your work flow with advanced features, including group meetings, message threads and real time Outlook Web Access (OWA) synchronisation. All Exchange Mailboxes are activated in real time, 24 hours a day, seven days a week. We send your welcome email with your Account login and details. What is the size of the mailbox? Each Exchange mailbox box comes with 30GB of storage space. Exchange Mailboxes come with enterprise level virus & spam protection with nightly backups keeping your data secure. What is your refund policy for Echange Mailboxes? Unfortunately we cannot give refunds on Exchange Mailboxes.